Home » Diet » Top 5 Health Benefits of Saffron! Top 5 Health Benefits of Saffron! Saffron, otherwise known as ‘Kesar’ in Hindi is a prized condiment and by far the most expensive spice in the world. It is native to Southern Europe’s Crocus sativus plant and renowned globally for its culinary and medicinal characteristics. Its distinct flavour comes from its innate chemical compounds, picrocrocin and safranal. Its dried, orange-yellow coloured threads contain a natural carotenoid chemical compound, crocin, which gives it a golden-yellow hue. Intrigued? So were we! Let’s discover more about this fascinating spice in our Top 5 Health Benefits of Saffron! Crocins, a natural carotenoid compound found in saffron protects nerve cells from free radical damage and promotes nerve regeneration. Carotenoids are filled with antioxidants which neutralise free radicals and help protect the human body from oxidant-induced stress, cancers, infections and act as immune modulators. They also promote learning, memory retention and may be useful in the treatment and management of age-related mental impairment. Saffron is composed of several essential volatile oils but the most important of them all is safranal which gives it its outstanding aroma. Researchers say it has antidepressant properties and that a dietary intake of 30mg of has the same efficacy as standard treatment for major depression such as Fluoxetine. The spice is known for curing mild to moderate depression. Ingesting sufficient amounts of it brings feelings of happiness and joy. Its oil aids in the stimulation of serotonin within the body to help improve moods, decrease stress and the treatment of depression. It is also a natural sleep inducer and aids in combating insomnia together with the management of Alzheimer’s. Saffron is a good source of magnesium, selenium, calcium, zinc and phosphor. Saffrons high manganese content can help regulate blood sugar levels, metabolise carbohydrates and absorb calcium. Minerals are important for muscle relaxation, memory, building of new cells, healthy heart function and much more. Saffron helps maintain normal hormone levels in women who have irregular periods. Its tea can help regulate and induce menstruation as well as relieve pain or discomfort from periods. Along with menstrual relief saffron can help reduce chronic uterus bleeding. Cooking with saffron regularly has been shown to improve memory, relieve muscle pain and pain from kidney stones and increase blood circulation. Saffron tea is helpful with cleansing the body from harmful toxins and substances. 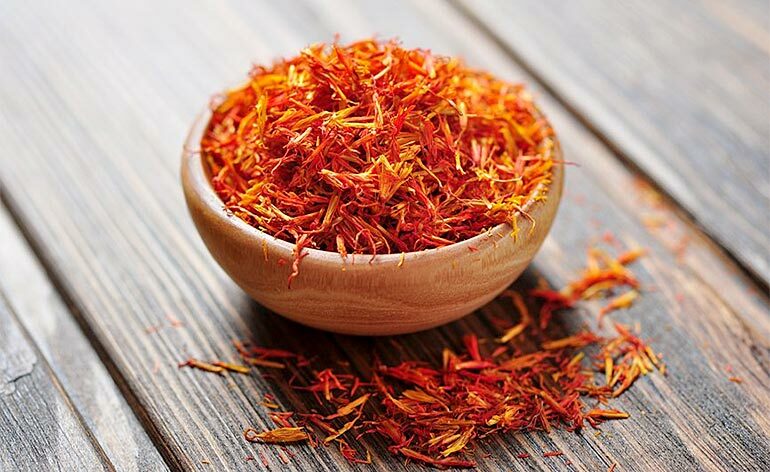 Using saffron oil is a popular way to treat hair loss, respiratory issues, acne, wounds and scars as well as enhance mental and sexual health and beauty. It is sold in both powdered form and whole threads. It is best to buy the threads as they retain their flavour and are more potent. Want to share something special about saffron? Tell us below or @KeepfitKingdom ! 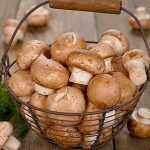 Top 5 Health Benefits of Mushrooms! 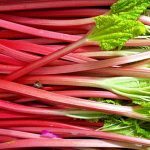 Top 5 Health Benefits of Rhubarb! 5 Great Ways to Get Fit on a Budget! Top 5 Health Benefits of Konjac!